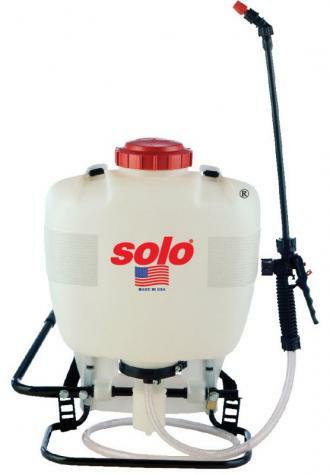 Solo 4 Gallon Backpack Sprayer Model 425 | Wyatt Irrigation Supply, Inc. The model 425 sprayer, with its connecting rod actuated piston pump, is capable of producing a wide pressure range of up to 90 psi. Easily and effectively handles disinfectants, fertilizers, herbicides, pesticides, and formulations for tree, shrub and plant protection.